Buckle up, we are entering election mode! The 18.2% rise in January 2019 wages is the second largest spike in almost 10 years. In wage terms, it’s the best start to the year one could have hoped for. And if you're working for the Romanian public sector, where net wages rose by 26.7% in January 2019, it’s even better! 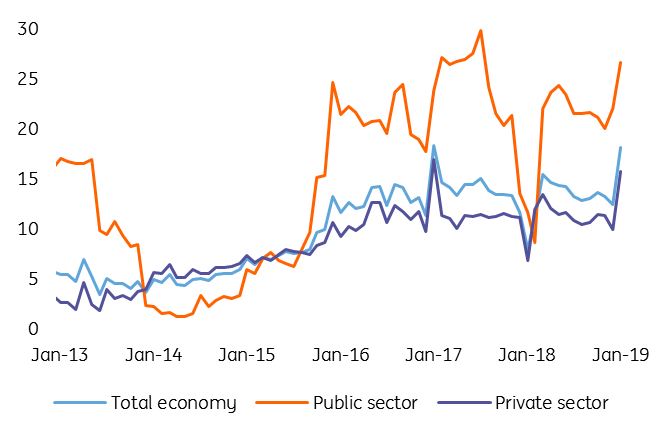 While there is little evidence that better salaries are linked to improvement in public services and productivity, the wage-led growth strategy seems to be going full steam ahead. 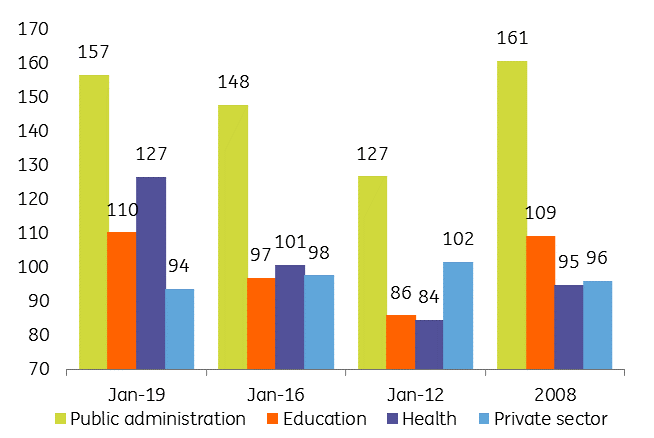 Compared to January 2018, public healthcare and education employees have enjoyed pay rises of 30.4% and 36.3% respectively, while civil servants saw their wages grow by 12.2%. Private sector wages also accelerated by 15.8% year-on-year - the second highest growth rate seen since the beginning of 2009. Construction sector salaries really boomed, growing by 45.0%, helped by the fiscal measures adopted in December 2018 aimed at exempting employees from income tax as of January 2019 and the adoption of a minimum wage for the sector. But aside from that, bonuses and other benefits in December 2018 have actually led to a -6.1% decline of net wages for the private sector in January 2019. We've been calling for yet another year of double-digit wage growth, which would make 2019 the fourth consecutive year with such growth. Strong wages are among the few reasons why we believe the economy will remain on its growth track, albeit a decelerating one. The consumption boost has already deteriorated the external balance significantly, with yesterday’s trade data confirming the trend. For now, all signs are pointing to the scope for more currency weakness. From Trump to trade, from Draghi to the dollar, ING’s global economists and strategists tell you what’s happening – and is likely to happen – in the world of global markets. Years of experience lead to informed, authentic and accurate opinions on multiple topics and you are now able to understand just what ING thinks about economic trends and developments. Our analysis and forecasts will help you respond and stay a step ahead in the world of macroeconomics, central banks, FX, commodities and everything else in between. THINK is made up of a winning combination of over 40 economists around the world and an editorial team bringing a 'newsroom' approach to empower people to stay a step ahead in life and business. Bert Colijn is a Senior Eurozone Economist at ING. He joined the firm in July 2015 and covers the global economy with a specific focus on the Eurozone. Prior to this, he worked at The Conference Board, a global think-tank, in Brussels focusing mostly on long-term economic growth. He holds an undergraduate and graduate degree in International Economics and Business from the University of Groningen. Carlo is an Economist at ING and has been with the firm since January 2016. He is mainly interested in the future of banking, blockchain and virtual currencies. He began his career at Barings Asset Management and holds an MSc in Economics. Carsten Brzeski is Chief Economist in Germany. He covers economic and political developments in Germany and the Eurozone, including the monetary policy of the ECB. Previously, he has worked at ABN Amro, the Dutch Ministry of Finance and the European Commission. Carsten has studied at the Free University of Berlin, Northeastern University in Boston and Harvard University in Cambridge, USA. Charlotte de Montpellier is an Economist in ING Belgium covering Switzerland. She joined the firm in February 2018. Prior to this, she worked as a research and teaching assistant at Université Catholique de Louvain and at the economic research institute IRES in Belgium. Chris is Head of FX Strategy at ING. Together with his team, he provides short and medium-term FX recommendations for ING’s corporate and institutional client base. Prior to joining ING in 2005, he was a senior partner and head of FX research at IDEAglobal, a research consultancy specialising in independent financial market research for the investment banking, hedge fund and central bank community. He holds a BSc in Economics and Accounting from Bristol University. Ciprian Dascalu is Chief Economist at ING Bank in Romania. He previously worked for the National Bank of Romania, Millennium Bank and Unicredit. He graduated with an Msc from the Doctoral School of Finance and Banking - European Centre of Excellence, Bucharest University of Economic Studies. Dimitry Fleming is a Senior Economist in Amsterdam. He joined the firm in 2001 and in addition to covering macroeconomic developments, he focuses on the banking market. Dimitry studied International Financial Economics at the University of Amsterdam. 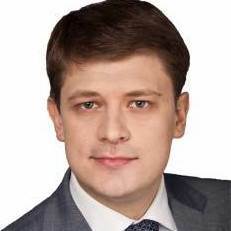 Dmitry is Chief Economist covering Russia and CIS countries. He joined ING in 2018 and has a decade of experience in macroeconomics and FX strategy with Alfa-Bank and Gazprombank. Dmitry graduated from the Lomonosov Moscow State University and has also studied at the Plekhanov Russian University of Economics and ESSEC Business School. Egor is a senior credit analyst with 15-years of experience of the Russian debt market. He joined ING in 2011 and covers more than 60 non-financial and financial issuers from Russia, Ukraine, Kazakhstan, Georgia and Azerbaijan, offers credit opinion and provides in-depth analysis on Russian and CIS credit markets. Prior to this, he was at the Bank of Moscow and has a Masters in finance diploma from State University - Higher School of Economics. Fleur Doidge is a writer/editor working on the International Consumer Economics team, with responsibility for ING eZonomics and the ING International Survey. Fleur is a professionally trained journalist who has worked on magazines and websites across the UK, Australia and New Zealand. She has a first-class degree in English. Gerben Hieminga is a Senior Economist covering energy markets and sustainability. He joined the firm in 2004 and previously used to work for the real estate team. He holds an undergraduate degree in economics and building engineering and a graduate degree in monetary economics from the University of Tilburg. Gustavo Rangel is Chief Economist for Latin America. Previously he was at Medley Global Advisors, a New York macro policy intelligence service, where he covered Argentina, Brazil and Chile. Prior to that, he was with Barclays Capital and Banco Boreal in Brazil. He holds both his M.A. and Ph.D. in economics from the University of Illinois and a B.A. in economics from Catholic University of Rio de Janeiro. Ian Bright is responsible for ING’s International Consumer Economics programme and contributes to the Think Forward Initiative. Before joining ING he worked as an analyst covering markets in Japan and Asia and as Group Economist at Baring Asset Management. He has economics degrees from the Australian National University and the University of Melbourne. Inga Fechner is an economist at ING in Germany, covering international economic developments with a specific focus on Austria. She joined the company in 2014 after graduating in Economics from the University of Münster, with studies abroad in Japan and Italy. Iris Pang is the economist for Greater China, joining ING Wholesale banking in 2017. Iris was previously employed by Natixis and OCBC Wing Hang Bank. She earned a PhD in economics from Hong Kong University of Science and Technology. Jakub Rybacki joined ING's Polish Economics team in June 2015. Previously he worked for the Institute of Economics at the National Bank of Poland and Crisil Irevna. He holds an MSc degree in Econometrics from the University of Warsaw and is currently undertaking PhD studies at Warsaw School of Economics. Jakub Seidler is Chief Economist at ING in the Czech Republic. He joined ING in 2014 after working in various positions at the Czech National Bank for six years, the last as the Head of the Macroprudential policy unit. He holds a PhD degree in Economics from the Charles University in Prague. James Knightley is the Chief International Economist in London. 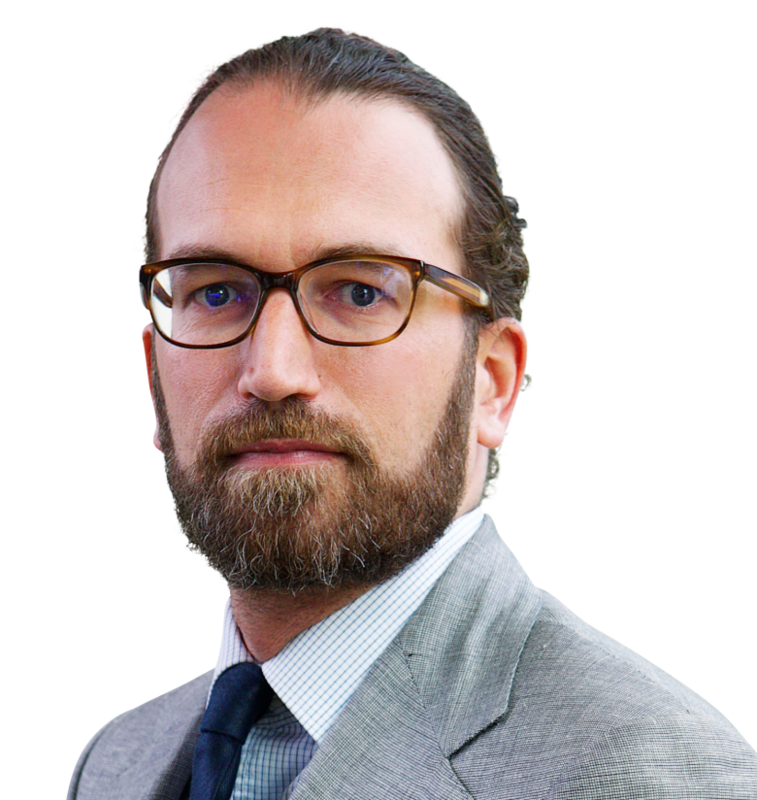 He joined the firm in 1998 and has been covering G7 and Western European economies. He studied economics at Durham University, UK. 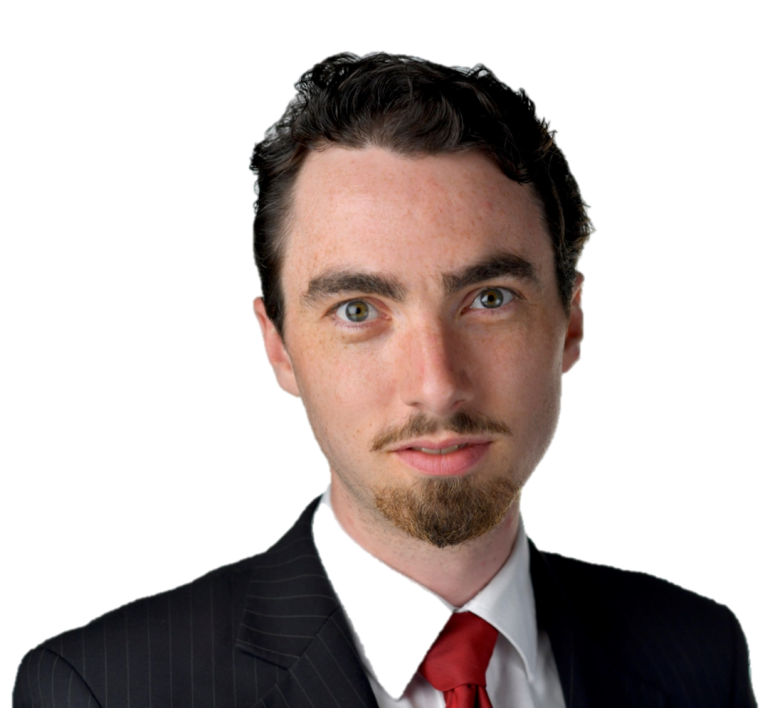 James is a Developed Market economist, with primary responsibility for coverage of the UK economy and the Bank of England. As part of the wider team in London, he also spends time looking at the US economy, the Fed, Brexit and Trump's policies. He graduated from the University of Bath with a degree in Economics and joined ING in August 2015. Jessica is a behavioural scientist in ING’s consumer economics team conducting research about how people feel about financial decision-making. Originally from Australia, she started her career at KPMG and holds an MSc in Behavioural Economics from the University of Amsterdam. 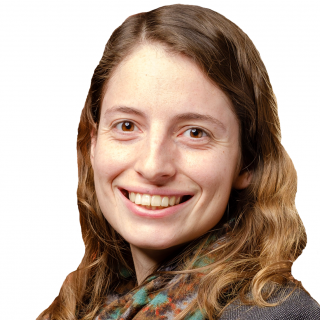 Joanna Konings is a senior economist working on international trade issues and joined ING in 2017 from the Bank of England. She studied Philosophy, Politics and Economics at Durham University and holds an MSc in Economics from Birkbeck, University of London. Jonas is a Developed Market economist, primarily responsible for covering Scandinavian economies.Before joining ING in 2017, he worked as an economist at the Bank of England and in the UK Civil Service. He holds degrees from Northwestern University, the University of Edinburgh, and the College of Europe in Bruges. Julien Manceaux is ING’s Senior Economist for France, Switzerland and Belgian real estate. He holds a MA in macroeconomics and is currently based in Brussels. Before joining ING, he worked in the public sector as an external trade specialist. Jurjen focuses on energy transition research and looks at developments in key sectors such as power, industrials, transport and real estate. He joined the firm in 2004 and holds a master’s degree in economics from the Vrije Universiteit Amsterdam. Karol Pogorzelski is a member of the economic research team at ING Poland, responsible for public finance and macroeconomic research, as well as consumer finance surveys. Karol previously worked for the Institute for Structural Research and Deloitte. He holds a PhD in economics from the University of Warsaw and MA degrees in economics and philosophy. Laura Straeter is a behavioural scientist at ING. She joined the firm in January 2018 and has expertise in consumer behaviour and psychology. Laura holds a PhD degree in consumer research and marketing from the Rotterdam School of Management, Erasmus University and has a background both in marketing and economic psychology. Maarten Leen is the Head of Macroeconomics. Previously, he worked at Rabobank and the Central Bureau of Statistics in the Netherlands. Between 1986 and 1992, he was a policy advisor to the Dutch minister of Finance. Maarten studied Economics at the Erasmus University in Rotterdam and has been with ING since 1995. Marcel Klok is a Senior Economist at ING Netherlands. Based in Amsterdam, he covers the Dutch economy. A graduate of the University of Groningen, Marcel has worked for the Ministry of Economic Affairs of the Netherlands and CPB Netherlands Bureau for Economic Policy Analysis. Maria Ferreira is a senior economist at ING, working in the consumer economics team in Amsterdam. She joined the firm in January 2018, after completing her PhD in Economics at Maastricht University. She is responsible for the Research Hub of the Think Forward Initiative and has expertise in the fields of Empirical Microeconomics, Consumer and Labour Economics. Marieke Blom is the Chief Economist at ING in the Netherlands. Mark Cliffe is Chief Economist and Head of Global Research of the ING Group. Based in London and Amsterdam, he leads a team of economists and strategists in 14 offices around the world. A graduate of Cambridge University, he has worked for a variety of financial services firms, including HSBC and Nomura Research Institute. Marten van Garderen is a senior economist based in the Netherlands. He has many years of experience in conducting research on consumer preferences. Before joining ING, he worked for the government as a financial policy advisor and has an MSc in economics from the University of Groningen. Maurice van Sante is a Senior Economist covering the construction and real estate sectors. He joined ING in 1998 and till 2006 he was a treasury advisor and cash manager consultant. Maurice studied Economics at the Erasmus University in Rotterdam. Max is a senior economist writing about the automotive and non-food retail sector and recently he's been focusing on electric vehicles and new mobility services and their impact on the international automotive industry. Prior to joining ING in 2011, he was at Ernst & Young and numerous other market intelligence firms. Muhammet Mercan is Chief Economist at ING, Turkey. Previously, he was an economist at Yapi Kredi and HSBC Securities. He is a part-time lecturer at Bilgi University and holds a PhD degree in banking from Marmara University. 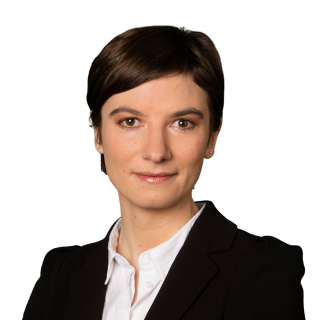 Nadège covers the European utilities and is a specialist in the green bonds sector. She joined ING's Credit Research team in 2014 after working for several Dutch and British asset managers. Prior to this, Nadège worked at Mckinsey as a specialist in the telecoms and corporate finance sectors. Nicholas is a senior economist covering the Philippines market from Manila. Before joining ING in September 2018, he worked as an associate economist at the Treasury Department of the Bank of the Philippine Islands and as a researcher at the University of Asia and the Pacific and the Central Bank of the Philippines. Nicholas has an MBA from the Kelley School of Business of Indiana University and an MA in Economics from Vanderbilt University. 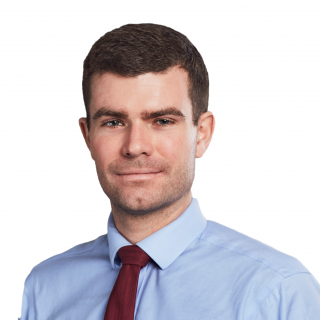 Nicholas Smallwood joined ING in January 2016 as an EM Credit Strategist focusing on the CEEMEA region. Nick previously worked at AIG as a Financials Analyst, with a background predominantly in credit analysis of the financial sector. Owen Thomas is the Managing Editor of ING Research, based in London. He joined ING from Saxo Bank in Copenhagen in July 2015. He moved into the banking sector after a long career in journalism. For many years he was an anchor for some of the world’s most respected broadcasters, notably BBC World News, CNN and Bloomberg TV. Padhraic Garvey is Global Head of Debt and Rates Strategy. His brief spans both developed and emerging markets and he specialises in global rates and macro relative value. He worked for Cambridge Econometrics and ABN Amro before joining ING. He holds a Masters degree in Economics from University College Dublin and is a CFA charterholder. Paolo Pizzoli is a senior economist covering Italy, EMU and Greece. He joined the firm in 1997 after working at Banca Akros, Banca Euromobiliare, ENI, and Prometeia. 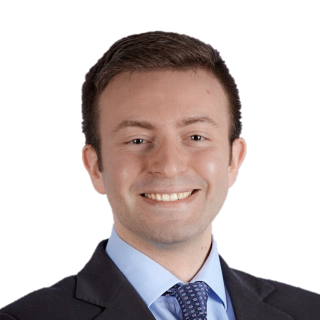 Paolo studied at the University of Bologna and the Univerisity of Warwick and holds a Master's in Energy and Environmental Economics from ENI in Italy. Peter Vanden Houte is Chief Economist Belgium, Eurozone and has been working with ING in various research functions for the last 20 years. He is also chairman of the “economic commission” at the Belgian Employers Federation. Peter Virovacz is a Senior Economist in Hungary, joining ING in 2016. Prior to that, he has worked at Szazadveg Economic Research Institute and the Fiscal Council of Hungary. Peter studied at the Corvinus University of Budapest. Petr Krpata is an FX strategist at ING and has been covering G10 and CEE currencies since May 2014. Previously, he was an FX and Rates strategist at Barclays Wealth and Investment Management. He has also worked at UBS Investment Bank in London and KBC Asset Management in Dublin. He graduated with a first class degree in BA Economics from the University of Manchester and completed MSc Economics at the London School of Economics. Petr is a CFA charterholder. Philippe Ledent is a Senior Economist at ING Belgium. He’s responsible for economic scenario and structural research on Belgium and Luxembourg. Philippe also teaches in French and Belgian universities and since 2009 has been a regular columnist in the Belgian economic review. Previously, he worked at the Catholic University of Louvain. Prakash Sakpal is an Economist in Asia where he covers the entire region, excluding Japan. He started his career with ING in 1995 in India, moved to Hong Kong in 1998 and is now in Singapore where he has been since 2004. Timme is an economist covering International Trade. He joined ING in 2016 after finishing his studies at the University of Groningen and Robert Gordon University. Raoul Leering is the Head of International Trade Analysis, joining ING in 2014. Previously he worked at the Ministry of Economic Affairs, Het Financieele Dagblad and the Dutch trade union FNV. Valentin is an economist at ING in Bucharest, covering Romania, Bulgaria, Serbia and Croatia. He joined ING in 2007 as a trader and graduated with an MSc in Economics from the Bucharest Academy of Economic Studies.